A review of recent blog posts gives me the impression of a too perfect life. Working or not, stress is still in the air. Pressure are not just behind the soles of my feet but in my head. Of course, behind all the fun and doing what I love there's the question of what does the future hold and then there are nagging sounds that confuse and push you to the boundaries. At the end of the day, I ask - why are we even here alive when ultimately we will all die? Can life make me die while having fun? 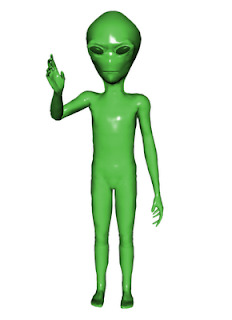 Like communicating with extra-terrestrials I ask, why are we here? what is our purpose? are we alone in the universe? I want to find the answers just to know if all the things a normal person goes through is worth getting into. Like planning, saving money, being a slave, surrendering 80% of life in the office, etc. What for? In 2005, I swear I saw a UFO hiding behind the clouds as I was testing our new video camera. I recorded it but nobody kept a trace of where that tape was. Maybe it was erased for another occasion to be recorded. Why was it up there, do people who die ride these UFO's? Or is the earth just waiting for an alien invasion. I get too tired of thinking about the right path to take, do what you love or do like most of the population. All I want are donuts. Maybe the reason we are here is to eat donuts! *lol* it almost sounds blasphemous but donuts make me happy like chips. I just discovered how delicious the donuts in Starbucks are although pricey. The chocolate dipped donut of Starbucks has real chocolate on top of it and I cannot wait to devour one again. 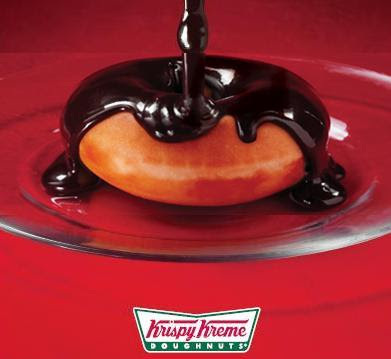 Then Krispy Kreme just released a new chocolate-y donut, just look at this photo. It's called chocolate carnaval and I can't wait to ride it. All these donuts make me forget all the uncertainties in life! yummy!